In November 2014, a mobile app based on auto-rickshaw on-demand was launched to transform the travelling experience of the users. 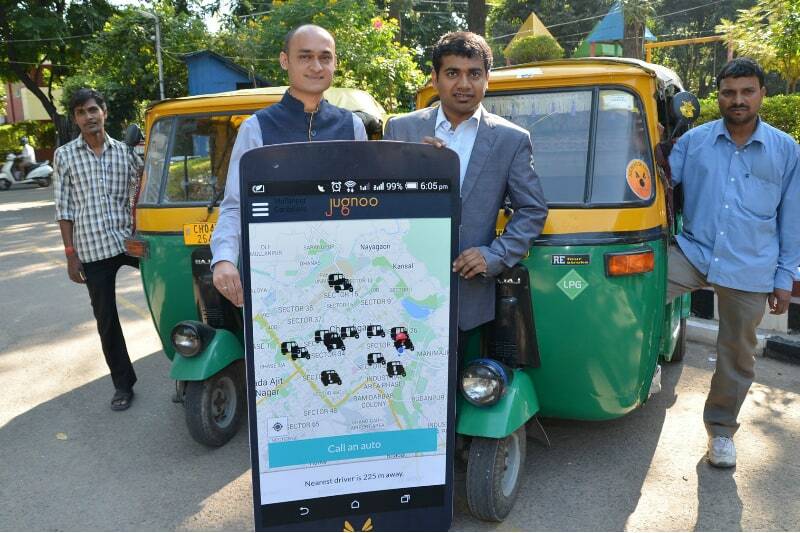 Jugnoo app is one of the most revolutionary on-demand auto-rickshaw based hyper local delivery and ride provider based out in Chandigarh. Ex-IITians Samar Singla and Chinmay Agarwal co-founded the business in Chandigarh to provide a comfortable and seamless ride to the users through on-demand auto-rickshaw which people earlier were getting from cab booking providers like Uber and Ola. Across India, auto rickshaws make more than 229 million passenger trips per day. That number is expected to more than double to 482 million by 2031. So coming up with the idea of on-demand auto service made Jugnoo a reliable and highly effective in the hyper local delivery and transportation industry. To take a ride, what users have to do is to just install the app on their smart phone and register them as a user. Then they can avail the ride of an auto from their doorstep at any time. The autos are GPS enabled and the nearest auto will approach you within minutes. The service wasinitially available for the tri-city of Chandigarh, Mohali and Panchkulabut now has expanded to Ludhiana, Jaipur and Amritsar. Jugnoo currently offers three different options to its customer. Auto-Rickshaw Ride, Jugnoo Meals and Jugnoo Fatafat service is open options for the customers. The company generates revenue of $1500+ daily out of which 80% comes from auto bookings and other 20% from Jugnoo Fatafat and Jugnoo meals. Why we choose Jugnoo as Startup of the week? Jugnoo since its launch has seen a tremendous popularity among the users and also in the tech based travel industry. Its users are increasing day by day and popularity is booming in the travel industry. A business started just 6 months back has expanded to 3 more cities Ludhiana, Amritsar and Jaipur which initially started from Chandigarh. If this is not their growth then what else is it..…. They have around 10000 Facebook fans as of now and still counting. The seven month old startup has over 8000+ users on board. 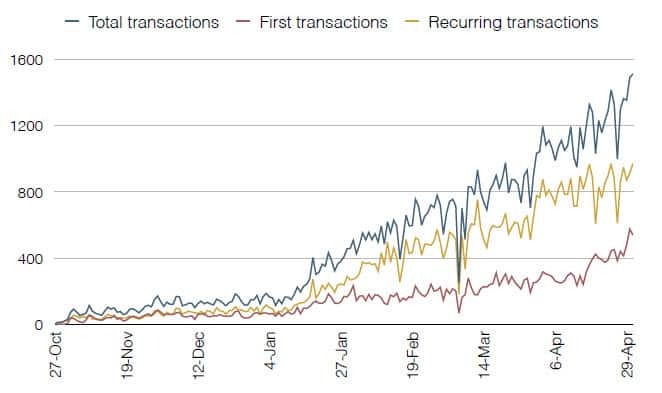 More than 1500 transactions are performed daily which has contributed to the total of 73000transactions. Jugnoo has extended its service options to its customer. They moved to Jugnoo meals and Jugnoo Fatafat from Jugnoo auto-rickshaw ride. Jugnoo offers you an affordable and safe auto ride within minutes through one of its partner drivers. 1. GPS detects your current location. 2. Tap the auto button in the centre and you are pinged to the nearby Jugnoos. 3. One of the Jugnoo accepts your request and starts your way. 4. Get instant confirmation with driver details. 5. Track the Jugnoo coming your way on the map or you can call him directly. meter down charges, Rs. 5/km and Re. 1/min for your ride. Night charges are 50% higher. The company runs a referral program in which a user has to refer the Jugnoo app to one of its friends via social media platforms and once his friend accepts, installs and makes his first transaction on the app, a referral bonus of Rs 100 is added in his Jugnoo cash account. Recently, the company raised $1million of seed funding in April last month from Rakesh Mathur (Junglee Flywheel), Vikas Taneja (Partner and MD BCG Group), Kirloskar Bros and others. The company is looking forward to raise another round of funding soon. 2) 186% Rise in Entrepreneurship! Thanks to Affordable Digital Advertising!